Lock in a great price for Motel One Leipzig-Nikolaikirche – rated 9 by recent guests! Simple modern design. Central location in the old city. 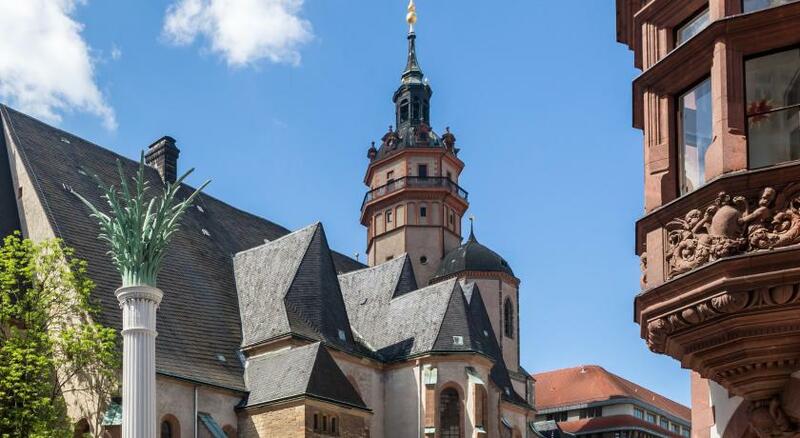 Easy walking distance to Thomaskirche and other sites in and around central Leipzig. Easy parking location under the hotel. The room, although small, is well designed. The bathroom is actually quite nice in size as compared with other options at this same price level. The breakfast is very good and well priced. The great location, immaculate rooms, good breakfast, and friendly staff made it very enjoyable. Easygoing. Well organized. Good breakfast. Quiet room. I just stayed one night but I like the style of the motel one. From their you can easy walk through the inner city. Great location. The organic bathroom products we a welcomed change. Lobby was well decorated and stylish bar. The staff were lovely. The Dutch bartender imparticular was a fantastic, warm and welcoming gentlemen who gave impeccable service! The facilities are clean, everything is organized. The Motel one meets the expectations every time. The price and quality is just perfect. Underground parking had free places for parking. Motel One Leipzig-Nikolaikirche This rating is a reflection of how the property compares to the industry standard when it comes to price, facilities and services available. It's based on a self-evaluation by the property. Use this rating to help choose your stay! 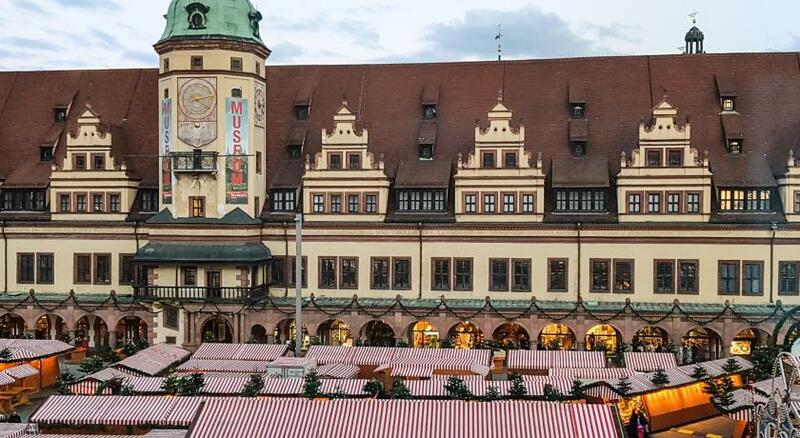 This designer hotel is right across from the Nikolaikirche church in central Leipzig. It features air-conditioned rooms with flat-screen TV, a 24-hour bar, and free Wi-Fi. All of the non-smoking rooms at the Motel One Leipzig include a mobile desk and Wi-Fi. Each bathroom includes granite décor and a rain shower. Varied breakfast buffets are provided in the Motel's One Lounge each morning. This also functions as a bar and lobby. Drinks and snacks are available here 24 hours a day. 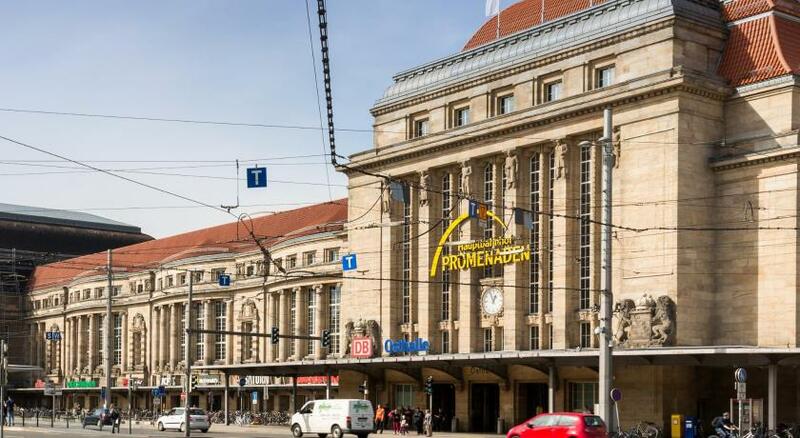 Leipzig Central Station is a 5-minute walk from the Motel One. 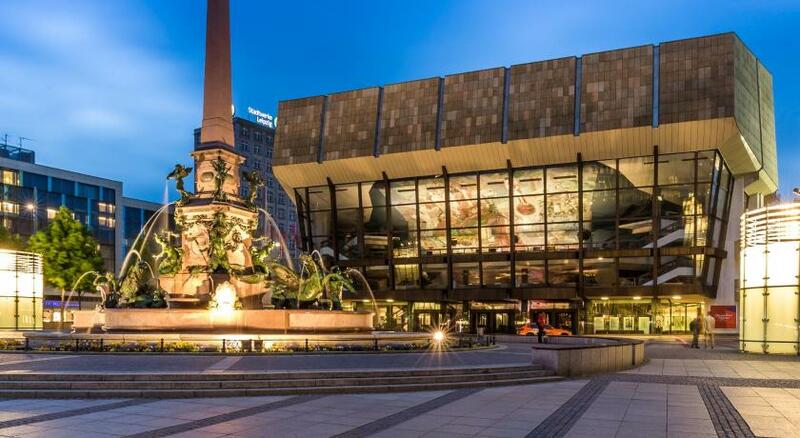 Nearby attractions include the Gewandhaus concert hall, also just 5 minutes away by foot. Private underground parking is available at the Motel One Leipzig. 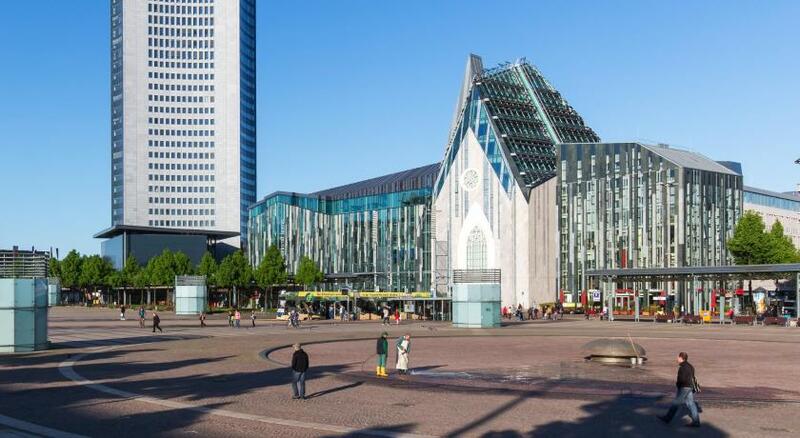 When would you like to stay at Motel One Leipzig-Nikolaikirche? Bright and air-conditioned room has a flat-screen TV, designer lighting, and a private bathroom with a rain shower. 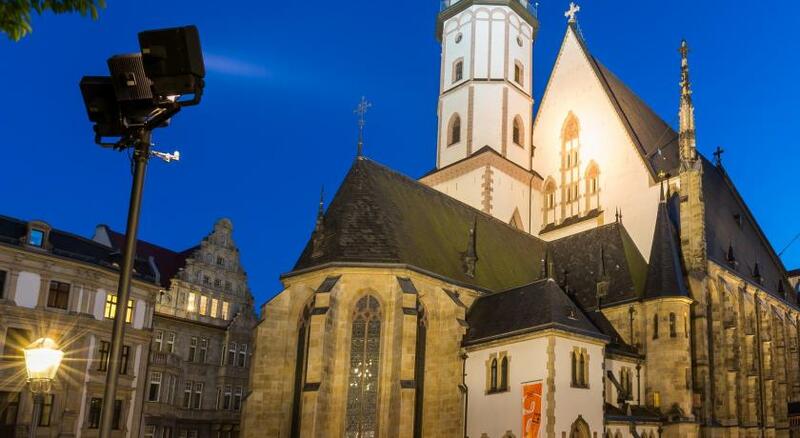 House Rules Motel One Leipzig-Nikolaikirche takes special requests – add in the next step! Motel One Leipzig-Nikolaikirche accepts these cards and reserves the right to temporarily hold an amount prior to arrival. No bedside table on one side of the bed. No coffee/tea making facilities in the room, but perhaps this is normal in Germany. Lovely delicious buffet breakfast with lots of choice, and a big focus on organic foods and sustainability. The hotel bar ‘89’ is comfortable and has lovely nod to the nearby historic Nikolaikirche. Maybe a kettle in room? I love a good smell in a hotel. The room was Ok and I felt comfortable but a bit naked maybe. The blueish style is a bit cold/fresh , maybe I missed a bit of a warm/ bright color. Just charge 50cent more and put a tiny little choclate or bonbon on the pillows. People love that. People need to get touched by their senses. Staff was excellent, helpful and very friendly. room size was a little small. No complimentary items or extras. The breakfast is not sth to go for! Very nice and service minded staff! Air conditioning was stinking so much that we had to turn it off. As it became hotter and hotter in the room, we had to open all windows. Unfortunately, due to the location of the hotel (city center, near some bars I guess), it was quiet noisy outside during the whole night. Additionally, they don't have their own parking, so you basically have to find one on your own. There is one pretty close, but it was full and the staff was not able to tell us if we could stay during the night on the street parking place we've found.